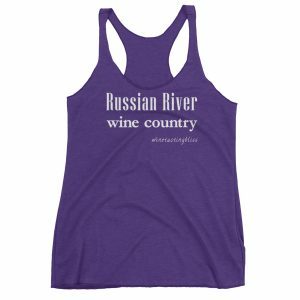 The Paradise Ridge Winery may be the most honestly-named winery in history. It is certainly on a ridge, and the view is pure paradise. Sipping on some wine,taking in the art, the amazing facility and the endless vistas – what else could you need? Our Ballooning Over Sonoma tour was going quite well. The balloon ride was a great start to our day, followed by a fun tasting at the Martin Ray Winery and then an awesome all-around experience at Balletto Vineyards. Such a fun experience, in fact, that we joined another wine club. 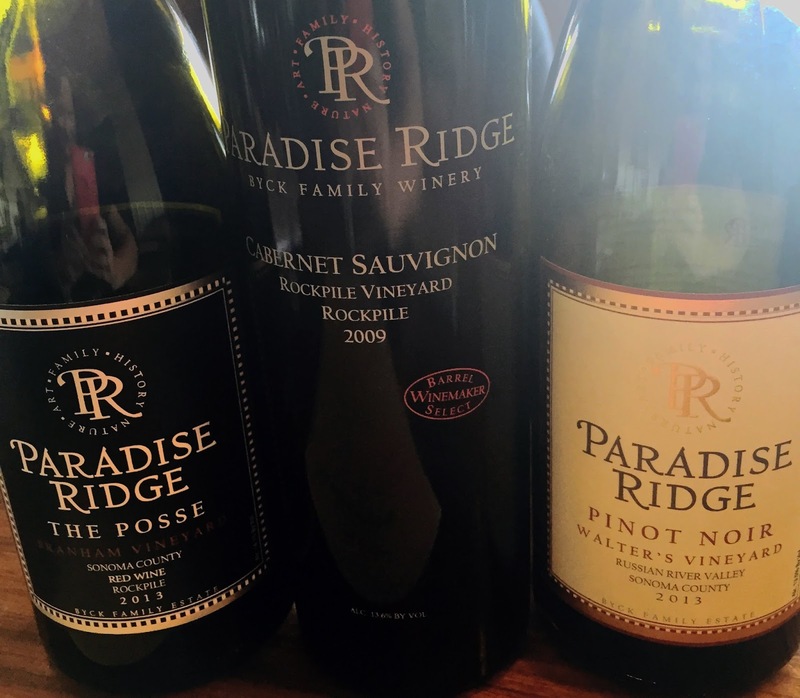 Our next Yelp-recommended winery was the Paradise Ridge Winery, so we wound our way up a long, long driveway in search of our next tasting. 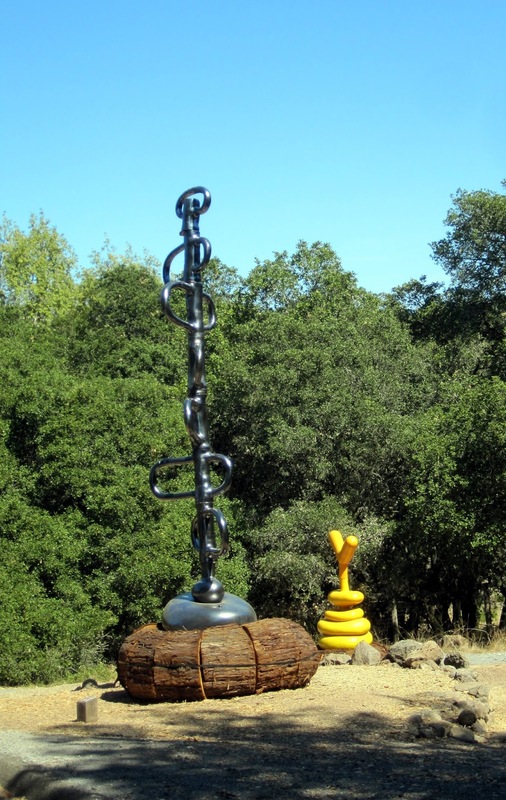 On the way to the tasting room, we discovered a variety of creative sculptures. Even before we sipped a single wine, our senses were stimulated by these bits of art scattered on either side of the roadway. We would soon learn that the art was part of an ever-changing display. Some of the art was from Burning Man, while other pieces were created specifically created for this installation. 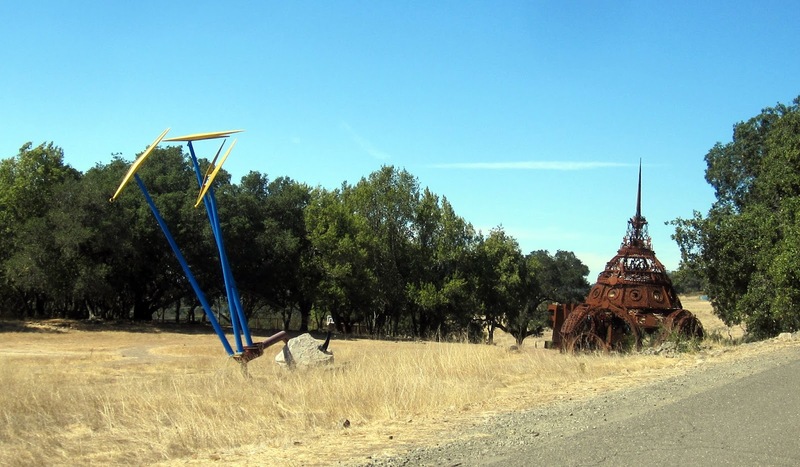 In either case, we found ourselves driving slower and slower, scanning around to find each sculpture. Something like looking for deer at dusk, without the looming danger of front-end damage to our car. We reached the top of the ridge and found a shady spot to park. It took no imagination at all to discern that this was more than a tasting room. The place screamed “wedding venue” in the most sophisticated of tones. We wound our way around the covered patio area and into the main tasting/dining room. The architecture and interior design all around us put us in a very receptive mood for a great tasting. Our next happy surprise was the tasting room staff. Within minutes we were fast friends with wine guide Sarah and the rest of the exuberant staff. Our Sarah and their Sarah bonded immediately, and tasting wine came in a distant second to comparing life stories. It turned out that they had much more in common than a love for wine! Eventually, though, we did get around to tasting some wine. While pouring wine and taking selfies, wine guide Sarah told us about the history of Paradise Ridge. We learned that Walter and Marijke Byck moved from Holland to America after their marriage, and purchased this property in 1978 to raise their family. 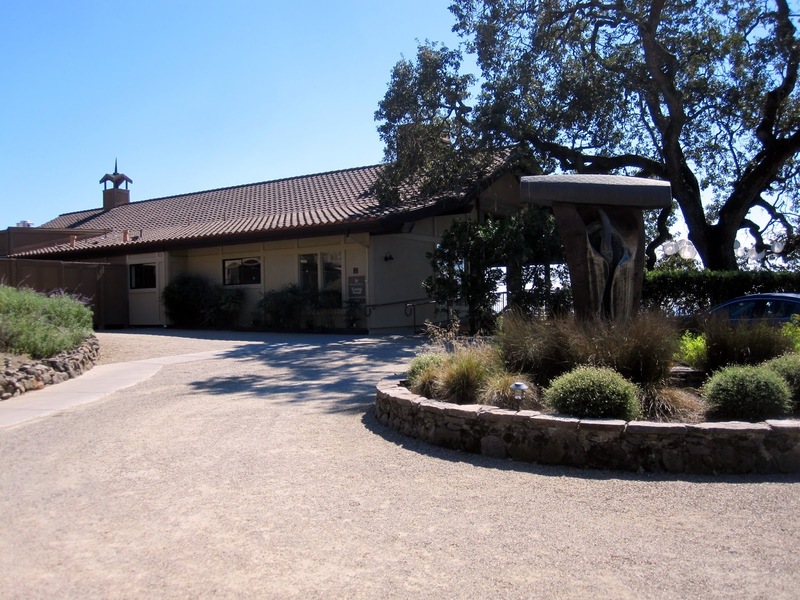 The Paradise Ridge facility opened in 1994, and it has been providing wine and weddings ever since. As we started our tasting, a gaggle of wedding-minded people came into the room. 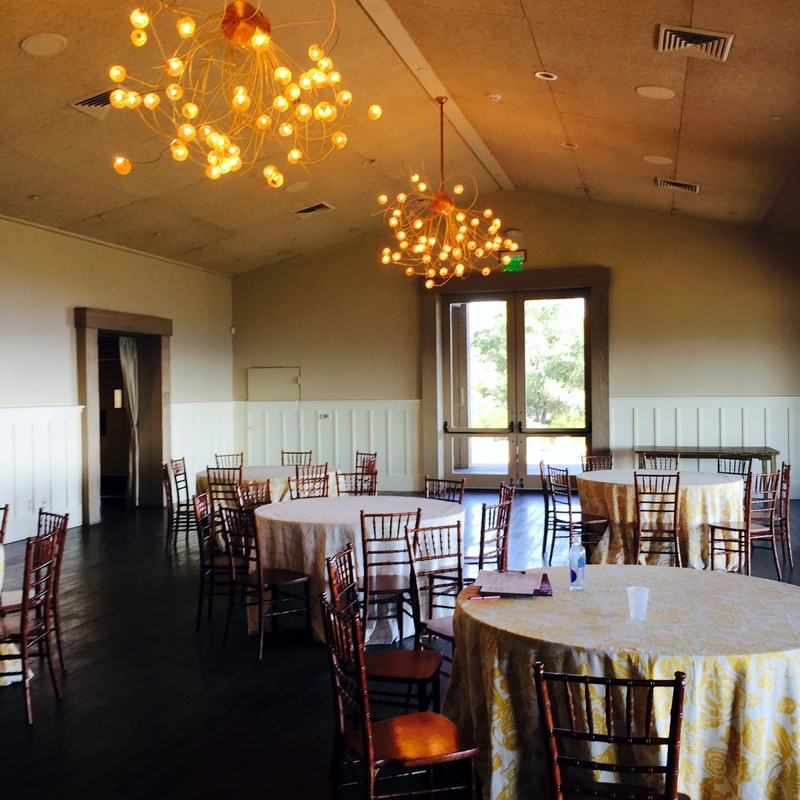 We all felt that the space was great for weddings, and this group seemed to agree with us. In addition to an ample bar area, there was plenty of space for dining and dancing, and a nice outdoor area for a ceremony. Plus amazing views in every direction. The bride and mother-of seemed pretty sure that they had found their ideal venue. And on to the wine! 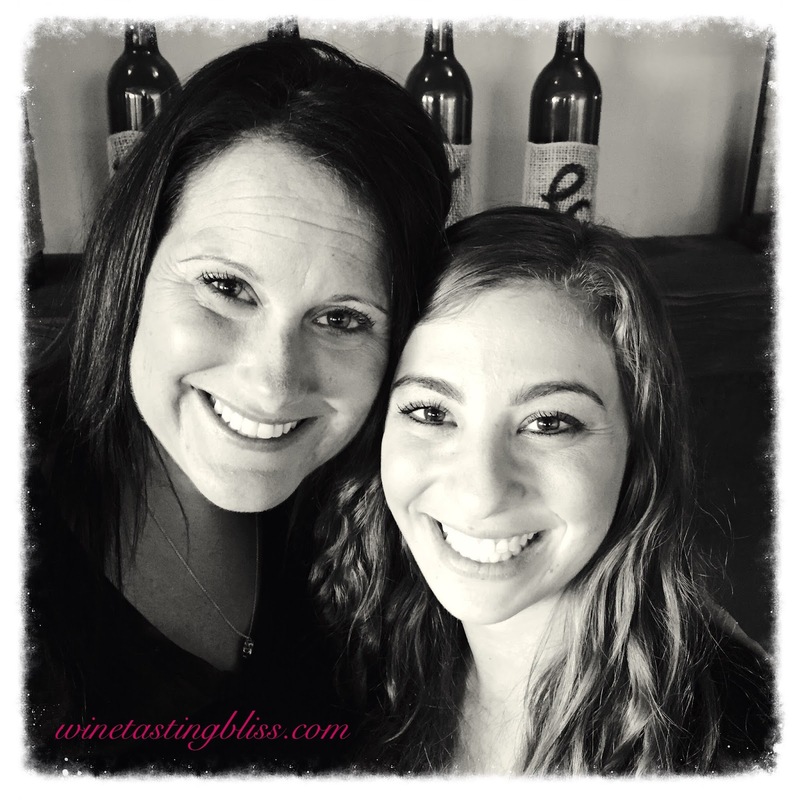 Yes, we really were there for a wine tasting. We distract easily but we eventually do find our way back to the wine. We started with their sparkling, because, well, it’s their sparkling! 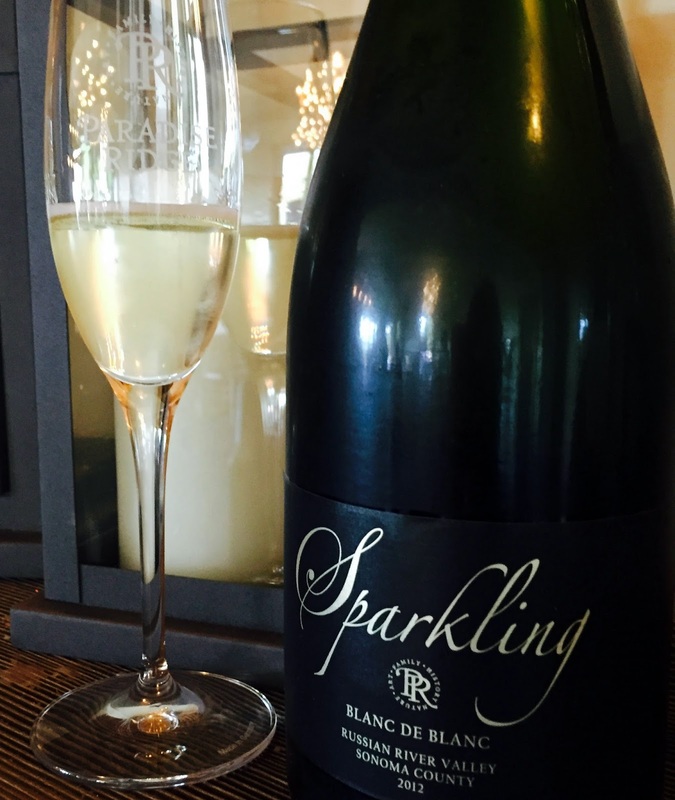 Their Blanc de Blanc had nice fruit, with enough residual sugar to appeal to a broad range of wedding-goers. 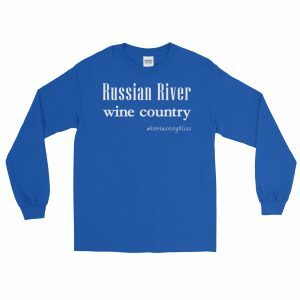 We continued tasting some of their still white wines, but our group really got going when the reds entered the picture. We tasted their 2009 Cabernet Sauvignon from the Rockpile Vineyard. The complex layers of fruit showed this varietal to its best, probably in part due to the splashes of Cabernet Franc and Merlot. A Cab for people who don’t think that they like Cabs. The 2013 Walter’s Vineyard Pinot Noir showed nice tannins and a long finish. The star of the show, however, was their 2013 Branham Vineyard The Posse. 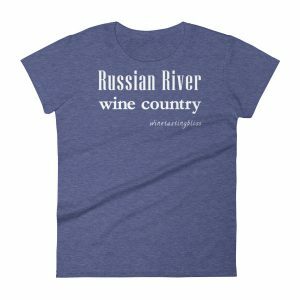 This is a blend of mostly Syrah, with Grenache and Petit Sirah in supporting roles. Amazing balance, with just the right level of tannins, and a smoke and tobacco finish that can stand up to a hearty meal. As it happens (every time) we reached the end of the tasting menu. We found that we had some time left in our afternoon for tasting but we didn’t have any more wineries on our agenda. What to do? What to do? 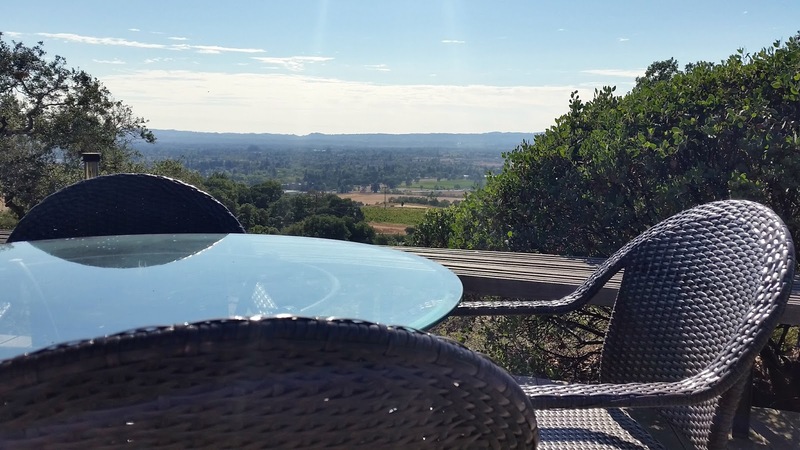 Happily, wine guide Sarah recommended Matanzas Creek Winery as a great option for us. We made a quick phone call to make sure they would still be open and set off. 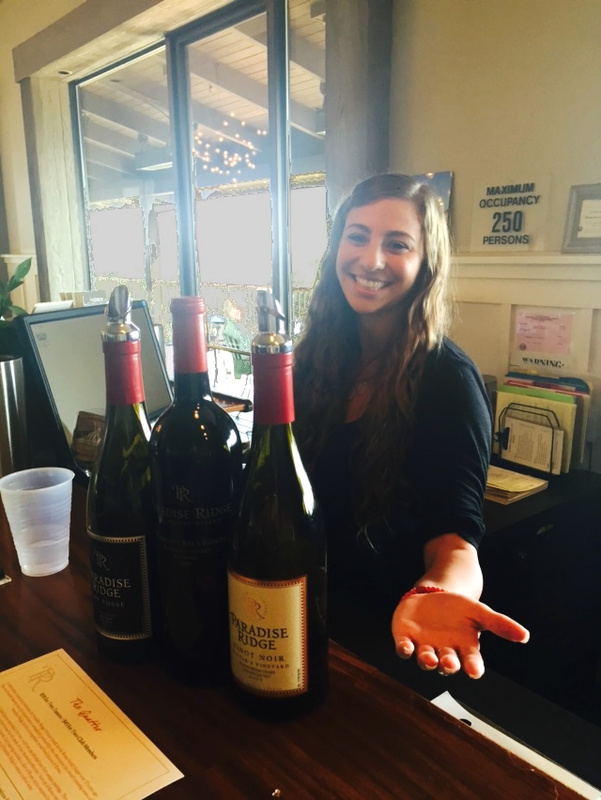 Our thanks to Sarah and the rest of the tasting room staff for putting on a fun tasting. Have you visited Paradise Ridge? Click to give'em a tweet of support!